Album cover looks beautiful in your music library. But, there are 2 types of fans. One, who buys the music from iTunes, Amazon or from a physical music store. Second, who download the music from the websites for free which is unethical. The fans of 1st category don’t need to think about the album art because there is always an album cover on it. But, if the fans of the second category who love their bands but don’t want to spend a penny on music & wanted to make their music library colorful, how will they do it. Downloaded music files may not have album cover or sometimes they have their custom cover which ridiculously bad having their own website name on it. 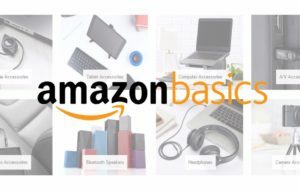 There is a good news for you guys. You can actually change or add album art to mp3. 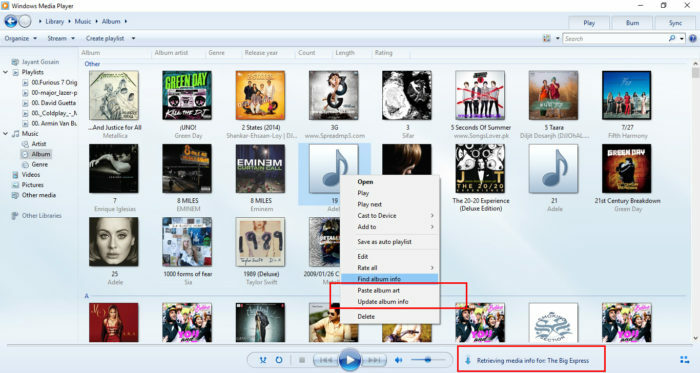 Here is the 4 ways you can through which you can add album art to mp3 or change the album art of your mp3 file. To add an album cover through Windows media player open the Windows Media Player and import the music files. 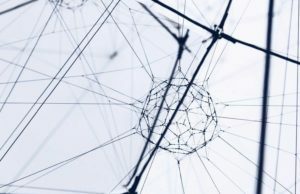 Make sure you are connected to the internet. In the left sidebar, click on the music and then albums. You can download the music info of your all the album at once. 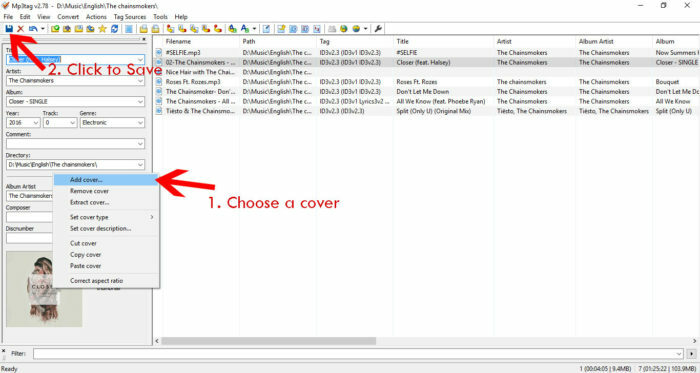 Right-click on any of the album which doesn’t have cover. Click on the second last option that is “Update album Info” and you’ll see the downloading arrow. Your album cover is now downloading and would add simultaneously. It would take a couple of minutes to complete. You can add album cover art of the particular album manually. You can do that by clicking on the “Find album info”. A window will appear and you need to select the album cover of the respective album. 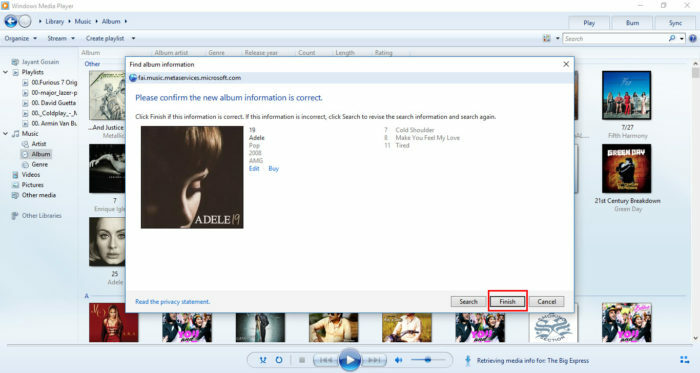 These are the ways to add or change album cover art in Windows Media player. But, there is a problem in it. Windows Media Player finds the album cover of the International music. If your library has songs of your local language like Hindi songs, Punjabi songs, Korean songs, Japanese songs or any other songs which are limited within boundaries of one nation, in that case, Windows Media Player fails in adding up the album cover art. But, you don’t need to worry we have a lot of other ways to add album cover art. Open the iTunes. 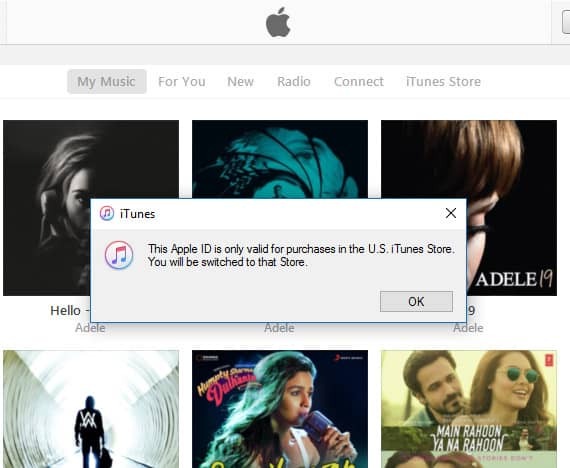 If you are Windows user, you can download the iTunes for free from here. Make sure you are connected to the internet. In the left sidebar, open the albums. Right Click on the album and it will start collecting the info for all those album which don’t have covers and automatically get pasted on it. NOTE: IF YOU DON’T HAVE APPLE ID, YOU CANNOT ACCESS THIS SERVICE. BUT THERE IS SOLUTION FOR THAT. AT THE END OF THESE POINTS, THERE IS A TRICK THAT WOUD MAKE YOUR DAY. READ THE “BONUS”. Isn’t that easy but wait!!! 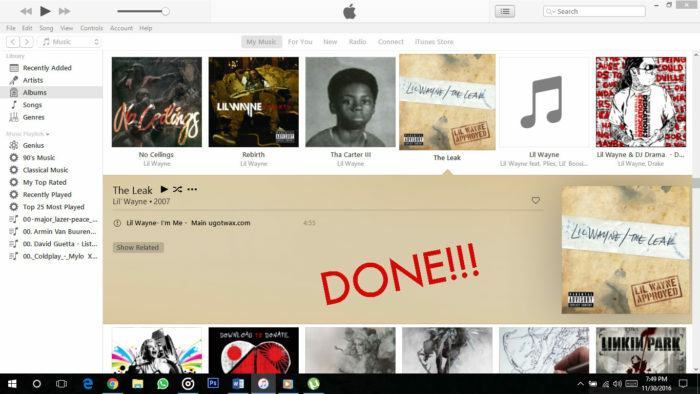 Do you really think that you can use Apple music service for free? If you are thinking that, then you are absolutely wrong. You have to create Apple ID before getting the album cover art and to create Apple ID you require a credit card. Apple music service is really good. 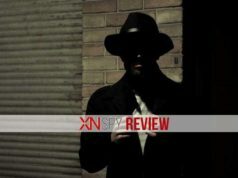 Moreover, it covers all types of music whether international or regional. But, here’s another problem. Apple ID without credit card information can be accessed in the USA only. If change your location other than the USA, that Apple ID would no more accessible. 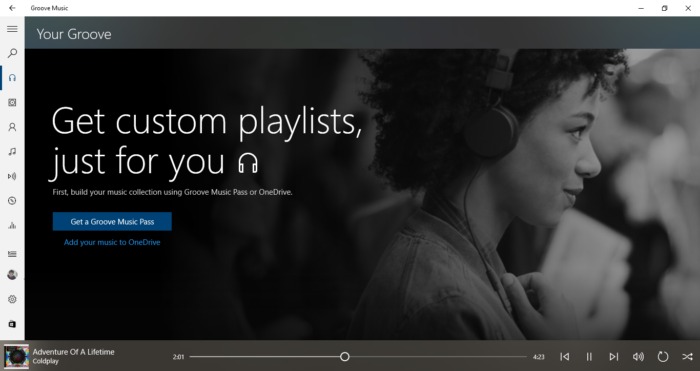 If you are Windows 10 user, then you must have familiarity with Groove Music. 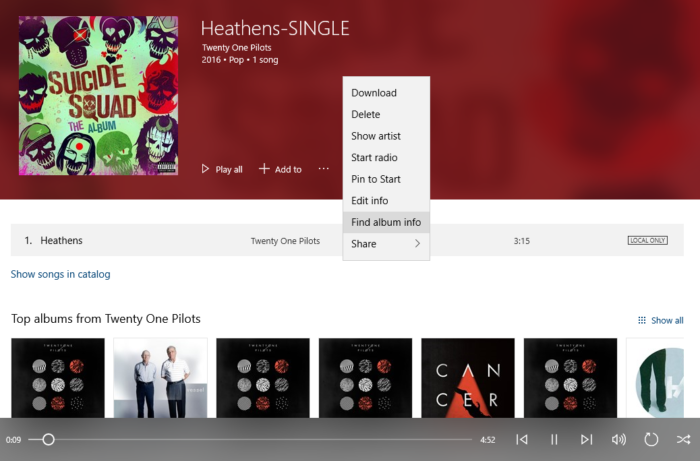 Groove Music is built in app in Windows 10 for music. We can use Groove Music as a music player and can buy the music by purchasing the Groove music subscription. Open the Groove Music. Select a folder or drive where you want Groove Music to look for music files. 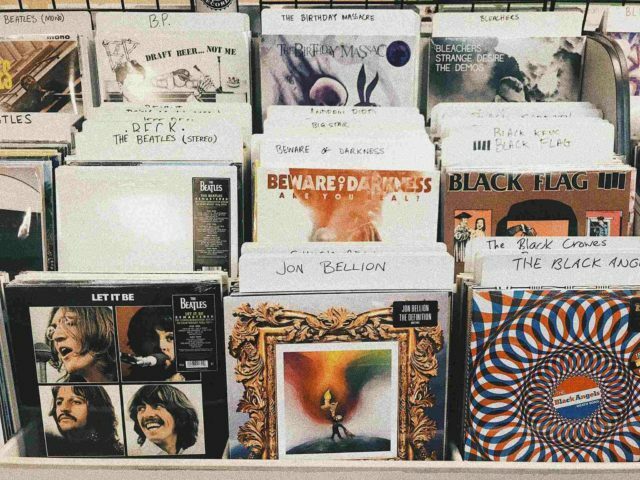 After selecting, you can see all your albums. You can sort files by album, songs, artist. See picture. It’s really easy to add album cover through Groove music. Open the Groove app and Right click on the album you want to add a cover too. Click on Edit Info. Right Click on the album art and choose the image you want to add as a album cover. Open the album, click on the dotted menu and click on Find Album Info DONE!!! In the New version of Groove, you can edit the info about the album by changing the name of the song, artist, an album which makes the search for album art particular and relevant. This is the easiest and full proof method. But if you are not a Windows 10 user then you cannot use this feature. Download the Mp3 Tag from here. Install and Open it. Click on file in the menu and then add a directory. Choose the folder you want to add. See pictures. Friendly Suggestion: Try to make a separate folder of the album to which you want to add album art cover. 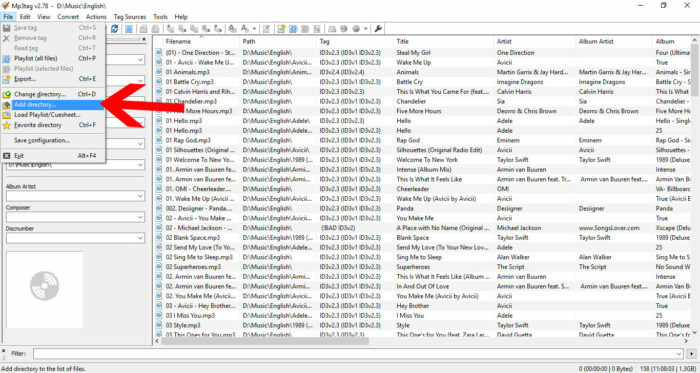 If you select the whole folder of music files then it will be a total mess. All song would be added to the directory. For eg. If you want to add the album cover of Drake’s View Album then add that particular album folder only. After adding the image, click on the floppy image right below the file to save the settings. All other song of the same album automatically get updated. This is quite good tools to add album cover art but can take some time as there is no automation in it. 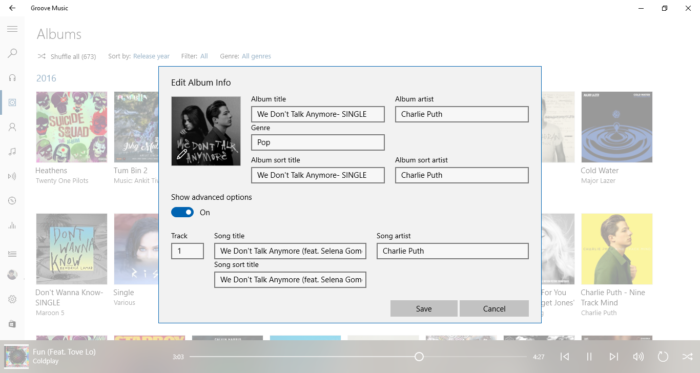 You can add the Name of song, artist’s name, album name through it and then go to Groove Music. 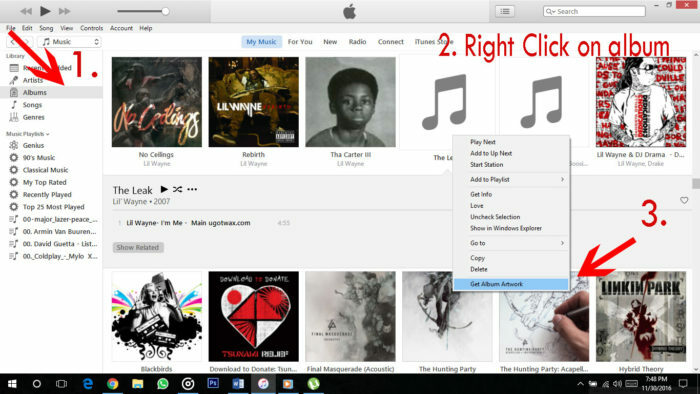 It will take care of your song and would add the album art automatically. So, these are all the possible ways to which you can add album art on MP3. After adding the album art, you can spot the differences in your new, clean music library. There are lot of people out there who are very interested in the album art. These tactics are for those who listen to music on desktop or Laptops but habits are changing. 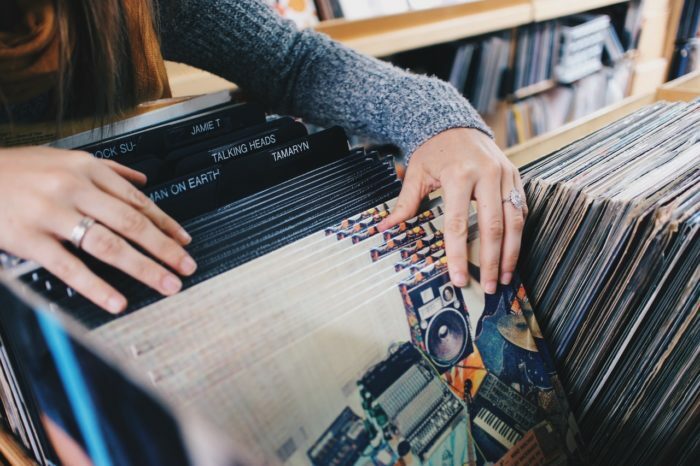 According to a report, a human being these days spends around 25 hours in a week to listen to music. They listen to it on car, gym, chilling out etc. Most of the time, the only medium of music is their smartphone. So, for better smartphone music experience, the album art plays a very important role. Maybe you never realize it. 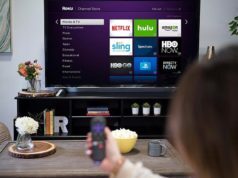 Read an article here. You will see the list of songs on your device, choose any song to which you want to add album art. 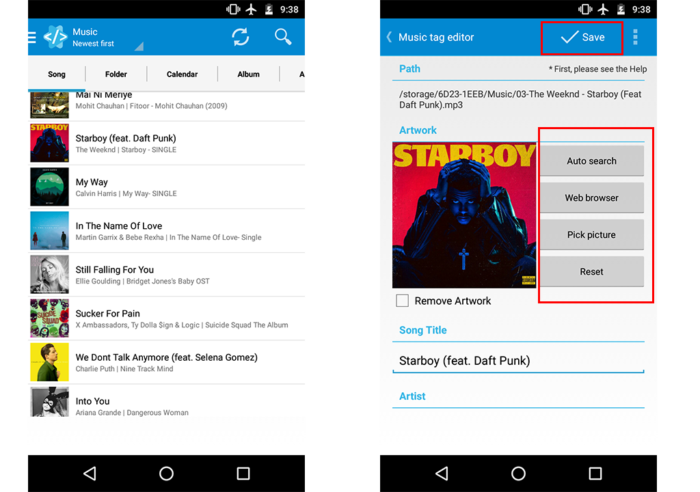 You can tap on “Auto Search” for automatic searching of album art on the basis of Name of song, album, and artist. Choose and add the image. There are a couple of other apps in the play store but this is suitable. If you have Sony’s smartphone, then it’s lot easier for you. The inbuilt app “Music” app lets you change or add the album cover. Play the song and tap on dotted menu. At the last, there is Edit Music Info. Tap on it and you are good to go. Apple user can also add to iTunes. So, in these ways, you can add album art to mp3 and along with melodious, make your music library beautiful and interactive. Share it with your friends, family. If you have any problem in adding album art to mp3, do let me know in the comment section, I will be there to help you anytime. Ok, this is just coincidental. I had uploaded my album to Groove, and I could not see the artwork. the album was 21’st century breakdown, and that just so happens to be in one of the pictures. I found this quite funny and wanted to share.